The AN/APN-59 is an older navigation, search and weather radar, formerly used in C-130, C-135, B-57, C-133, C-141 and KC-97. 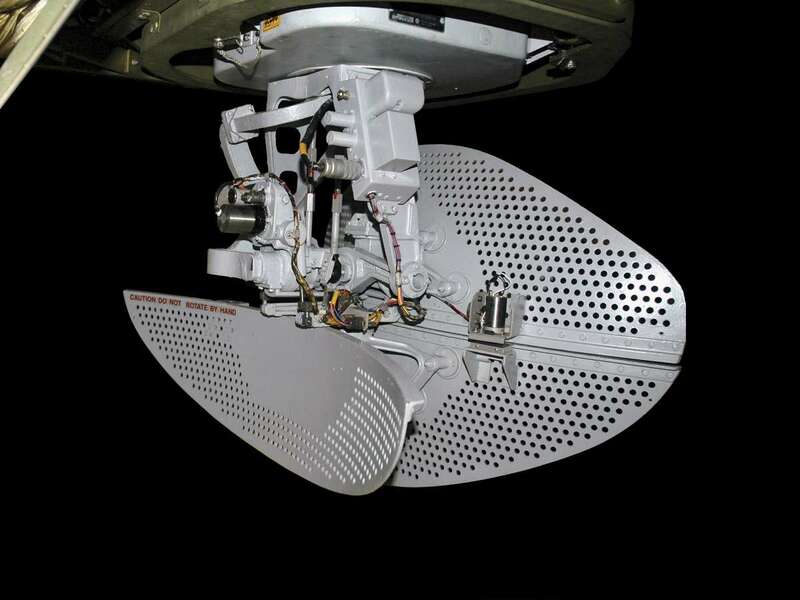 The radar operates in X-Band and replaced the former AN/APS-38 units. The reflector of the antenna was divided in an upper and a cahngeable lower half. The lower part could be exchanged by another formed lower half to provide different antenna patterns depending on the task: a thin pencil beam for long range search and weather reconnaissance, and a wider beam for navigation and overview at close range.